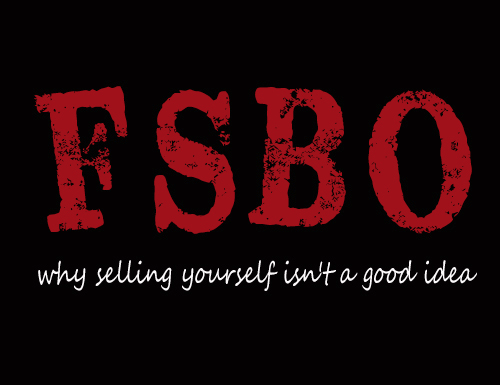 Perhaps the biggest reason why FSBOs fail is that it’s much, much harder to show your home to prospective buyers. When touring a listing with an agent, most buyers will feel more comfortable going through the home and talking through its features when the owners aren’t present. Without that space and freedom, it’s extraordinary difficult for anyone to really get a solid grasp on what your home has to offer, or why it may be a great fit. As alluded to above, a real estate agent’s job entails much more than putting a home on the MLS and waiting for buyers to call. But with that said, putting any home on the multiple listing service is also a significant advantage for any home seller, and without it, there’s a good chance it’s going to take much longer to get your home sold. In addition, my on-going marketing efforts, especially on the internet side of things, are specifically designed to attract a wide-range of active home buyers, giving me a far-reaching network of contacts that already put me 3 steps ahead of any FSBO. How will you know how to price your home? Pricing your home right from the start is arguably the most critical step in successfully selling a property. Many different factors go into pricing a home, and as a professional Realtor who knows current market conditions and will take the time to analyze past sales and other comparable properties, there’s something to be said for getting it right the first time. Are you prepared to negotiate? As you probably already know, real estate contacts are complex and often confusing. As a FSBO, are you really prepared to negotiate specific parts of a contact, which may include all kinds of clauses, deadlines, and contingencies?